Here’s how we take the traditional New England lobster bake that we are all so familiar with and make it fresh and new! 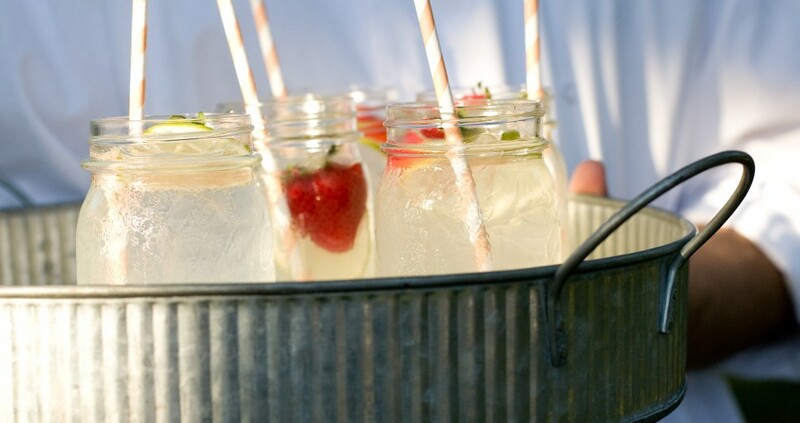 From beer in bottles to…refreshing spritzers in mason jars. The first thing your guests will be doing when they arrive at your party is seeking a cold drink to combat a hot summer’s day. While galvanized tubs of beer, water and other beverages are a great standby to ensure everyone has their elixir of choice, we love to add a signature drink served in a fun way. Incorporate fruit and bubbly, like champagne or seltzer, for a light, summery beverage. 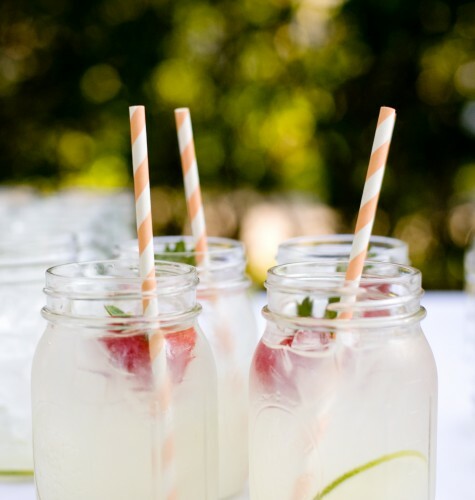 Add a fun straw, fruit garnish or serve it up in a mason jar to set the tone for the event. From chips and dip to…appetizers with elegance. 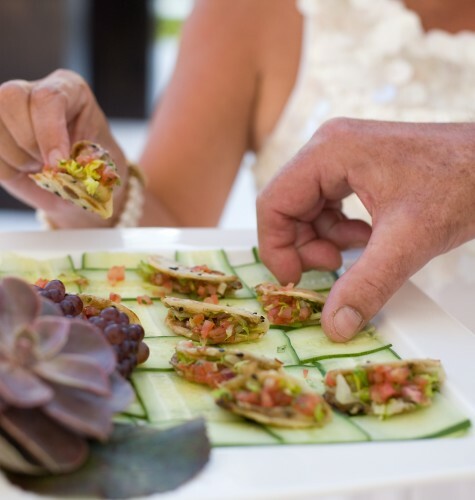 It wouldn’t be a backyard party without chips and salsa, but we like to take the prelude to the main event up a notch with beautiful presentation and passed appetizers. 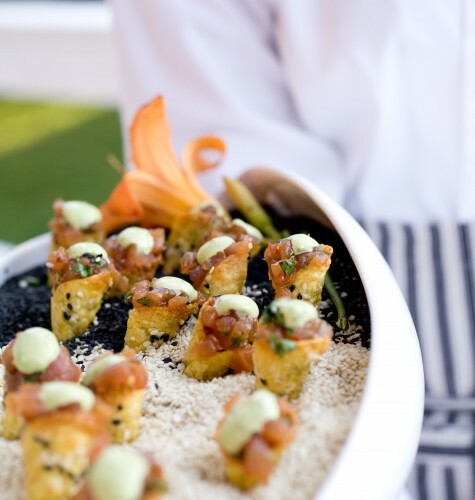 Skewer mini-bites on decorative toothpicks with colorful summer garnishes–basil or mint leaves, for example. Instead of ladling up clam chowder in paper cups at the buffet, pass around small glass mugs of it as part of cocktail hour. 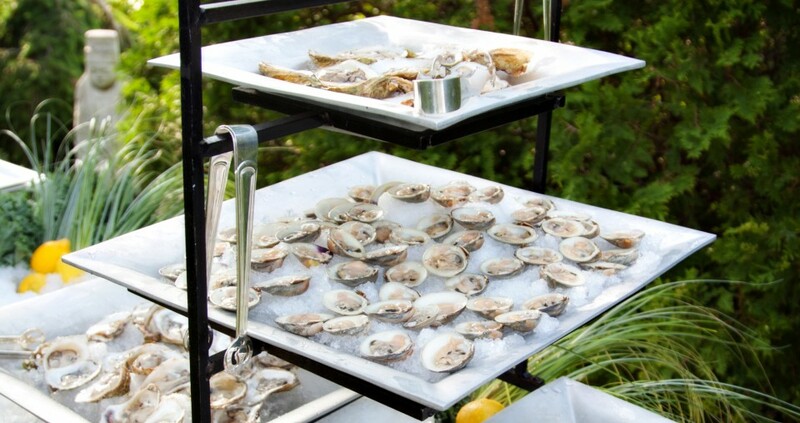 Place fried oysters back in their shells with garnish for a stunning presentation. Enhance your chips and create a colorful, layered look with a variety of salsas and multi-colored tortilla chips so that the display is part of the decor. From ice cream sundaes to…make your own shortcake bars. Kids in New England have been ending summer parties by making hot fudge sundaes since what seems like the beginning of time. But an event with adults might call for something a little more sophisticated. Remind your guests of those dog days of summer when they were kids with a shortcake bar. Feature cream biscuits, fresh berries, nectarines and plums, and add the option of vanilla ice cream, fruit sorbets and, of course, loads of whipped cream. From lobster to…lobster, and lobster, and more lobster! In the end, you can’t go wrong with lobster. 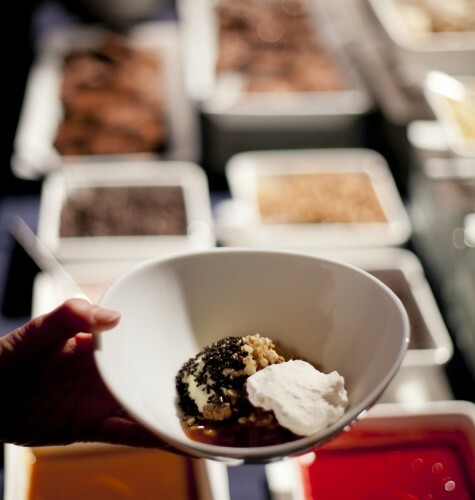 It’s everyone’s favorite luxury; there’s a palpable excitement when it’s served as a meal. For a more down-home, outdoor event where you don’t mind things getting a bit messy, serve up those steamed lobsters with drawn butter and let everyone indulge in the fun of cracking the claws and going on a treasure hunt for the meat. 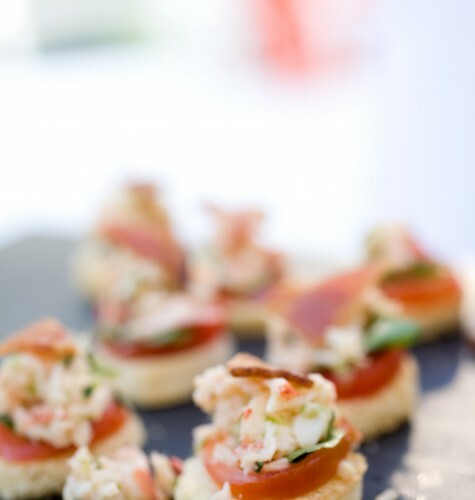 But a more elegant affair can still incorporate the hard-to-eat crustacean in different ways. 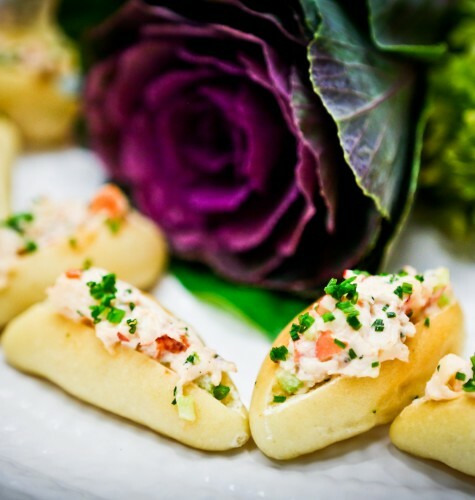 Consider adding mini lobster rolls to the passed appetizers or creating a variety of lobster salads and incorporating unexpected ingredients, like mango, peanuts and chilis or jicama, green apples and forest mushrooms. 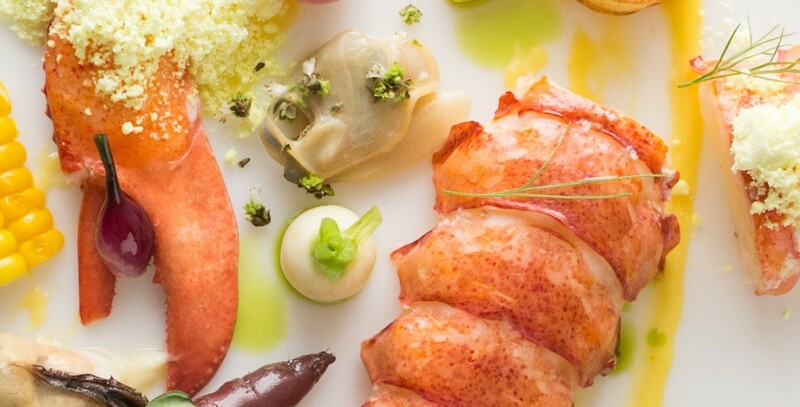 However you decide to serve lobster, it’s always a smash.